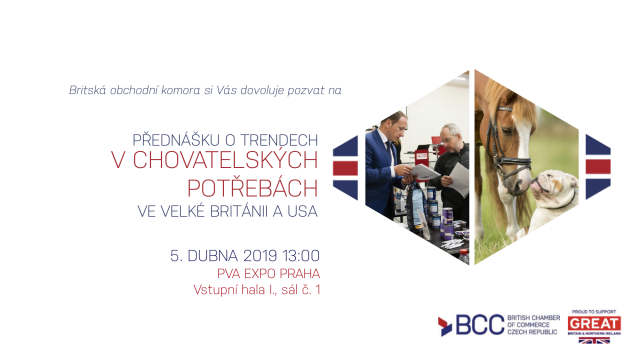 The British Chamber of Commerce Czech Republic will present British companies looking for business partners for the Czech Republic as part of the For Pets and For Horse Trade Fairs. At 1 pm the BCC in cooperation with the International Trade Administration Department of the US Embassy in Prague will present UK and US trends in pet supplies. Here you can view a short video coverage of one of the previous editions of the event. For more information, please contact Petra Skrbkova at petra.skrbkova@britcham.cz.